India is a country well-known for its rich and diverse wildlife. With an endless array of national parks and wildlife reserves & sanctuaries spread across its length and breath, no doubt, it is one nation that calls for numerous wildlife enthusiasts, nature photographers and adventure freaks from different corners of the globe to spend their life’s one of the most enthralling and memorable wildlife holidays amidst serene wilderness of nature. Whether you are seeking an unmatched game viewing experience, a jungle safari adventure or a wildlife photography fun, India is a place that will definitely leave you asking for more. While the list of national parks and wildlife sanctuaries in India is countless, there is one park that has fascinated almost every domestic and international tourist having deep interest in wildlife spotting, nature photography, thrilling jungle excursions and jeep safaris; Yes! 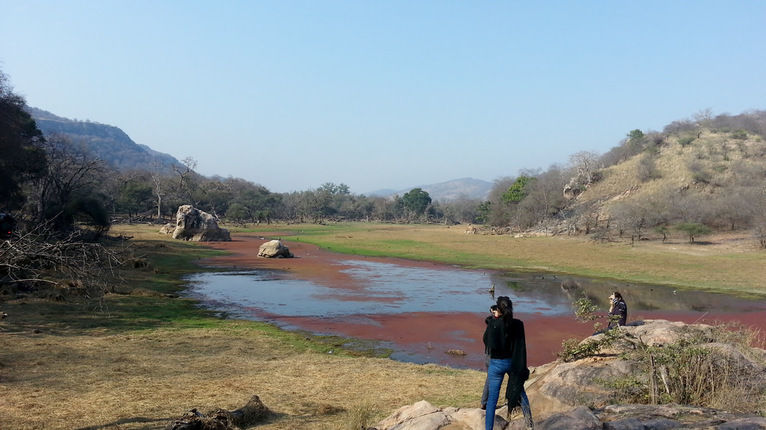 I am talking about one of the most popular national parks in India, the ‘Ranthambore National Park’. Situated in the Sawai Madhopur district of Rajasthan, perched at the juncture of gentle slopes of Vindhyas and conical hills of the Aravallis, it is one of the biggest wildlife parks in Northern part of the country, spread across a sprawling area of 1334 sq. km. and is dotted with a number of lakes and dry deciduous forests flawlessly interspersed with luxuriant grasslands and meadows that provide for a perfect home to a variety of jungle creatures; the majestic Bengal tigers, unarguably, remain the major draw here and lure countless adventure freaks from parts of the world to satiate their quests for tiger sighting. The elusive wild cats can be easily spotted in the park even during peak day time roaming around freely with grandeur in search of their prey or just resting and taking care of their young cubs; needless to say, all the credit of this decent population of tigers here goes to the mission ‘Project Tiger’ launched by the government of India in 1973. 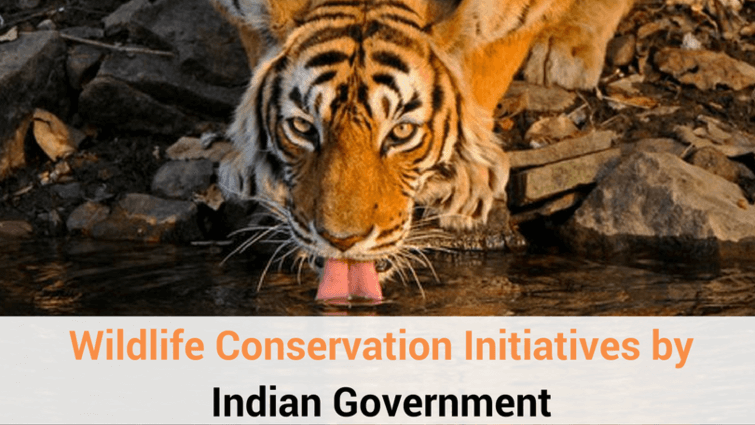 Around 50 wildlife reserves all across the nation including the Ranthambore National Park were made part of this wonderful project that aimed at protecting and conserving the endangered species of these mighty jungle cats. 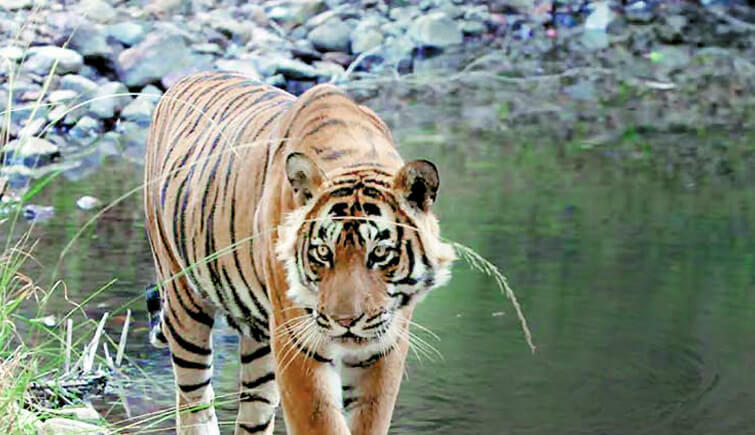 Over the years, the project worked fairly well with the efforts of forest officials and definitely brought some improvement in numbers of Indian tigers who were once at the verge of extinction; according to a study in 2014, Ranthambore was reported to have 62 tigers, the count of which is definitely estimated to have risen by the end of 2016. 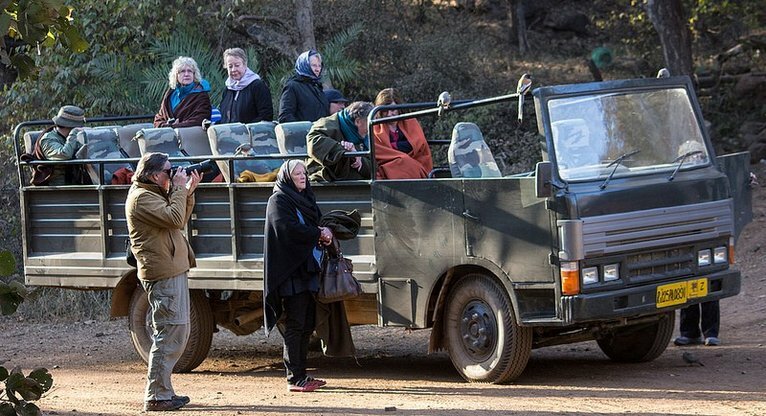 For all the passionate wildlife lovers, the park authorities daily organize for jeep & canter safari trips in its dedicated zones for tiger spotting. Needless to say, if you love the idea of an unmatched adrenaline-pumping adventure, an enthralling jeep safari excursion is just for your sorts and is sure to leave your hearts pounding. Navigating your way through dense forests immersed in deep silence and tranquillity, as your jeep runs on the tiger-frequented trails following the pug marks, feel the adrenaline rushing through your veins, looking out for a handsome striped beast that may suddenly emerge out from the thick of the bushes and Dhok trees, almost making an eye to eye contact with you; without a doubt, this would be the best tiger sighting experience you would ever have in your lives. Besides being a great destination for tiger and wildlife watching, if you are into wildlife photography, again, there can be no better choice in India than Ranthambore to take your unique and intrepid art to greater heights. 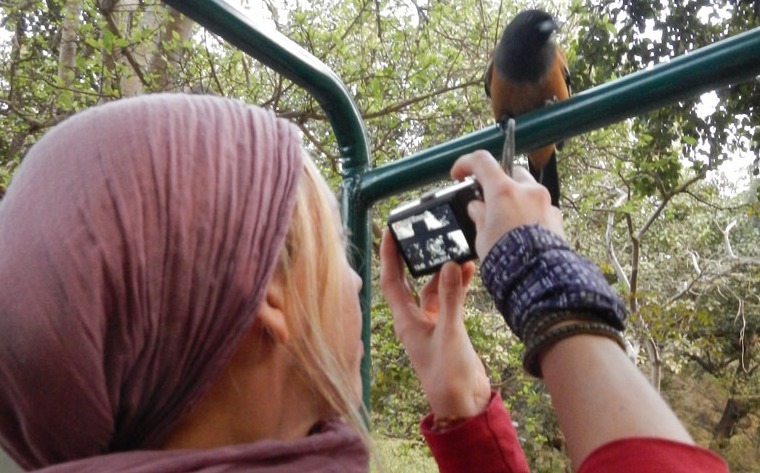 Undeniably, one of the world's best destinations for wildlife photography, the park offers some of the most impressive grounds for wildlife photo tours that has not only enticed Indian photography aficionados but also celebrated and awarded international wildlife photographers including the likes of Andy Rouse, Steve Winter and Nick Garbutt. 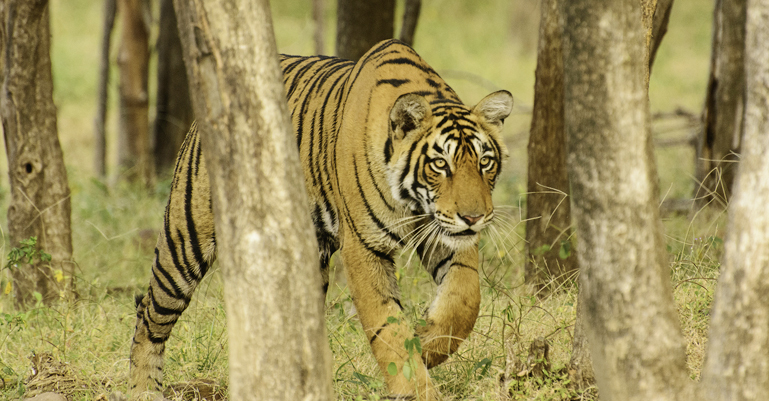 And as a matter of fact, it would not be incorrect to say that Ranthambore, in some ways, has significantly contributed to these renowned photographers’ career profiles; the picture of a charged tigress (Noor – T39) taken by Andy Rouse in the forests of Ranthambore, moments before she attacked a Sambar deer, won the UK-based photographer, the prestigious “2010 Gerald Durrell Award for Endangered Wildlife” and needless to say, this stunning photo still remains one of the most iconic and rare shots captured by any wildlife photographer till date. Apart from this, there are yet more breath-taking pictures that come from the land of Ranthambore and which have succeeded in leaving their mark on international photography platforms – ‘the holy grail’, a series of photographs, again captured by Andy Rouse depicting the entire sequence of the tigress’ kill in the open has been featured in his self-authored book ‘Tigers: A Celebration of Life’ and has certainly left the wildlife enthusiasts gasping in great awe. In March 2015, yet another beautiful picture from Ranthambore depicting two tiger cubs in playful mood, posted by the Indian wildlife photographer, Souvik Kondu on National Geographic’s storytelling community ‘Your Shot Photo’ also grabbed the attention of many nature and wildlife lovers, winning him the ‘Photo of the Day’ award. So, whether you are an aspiring wildlife photographer or an experienced one yearning for some out-of-the-box pictures in the wild that can add that unprecedented touch of magic to your already established profile, Ranthambore is definitely a place must-visit. Listed below are some more detailed reasons that are sure to convince you why this national park makes as a prime destination for wildlife photography in India. 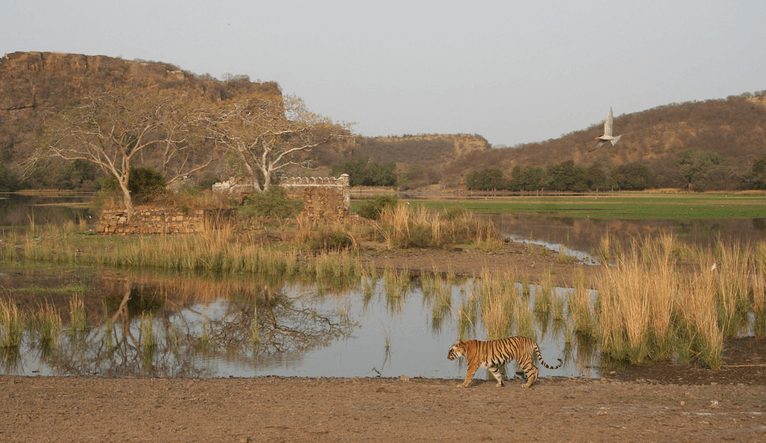 Owing to the dry deciduous surroundings with little stunted ground cover and ample pools & water holes, it becomes fairly easy to spot tigers in Ranthambore than in any other tiger reserves of India, which are mostly dotted with thick vegetation and tall grasses. Yet another significant and rather astonishing factor that contributes to easier tiger sightings in Ranthambore is the fearless nature of tigers here who often venture out in open and don’t mind posing elegantly in front of the cameras held by tourists sitting inside the jeeps. 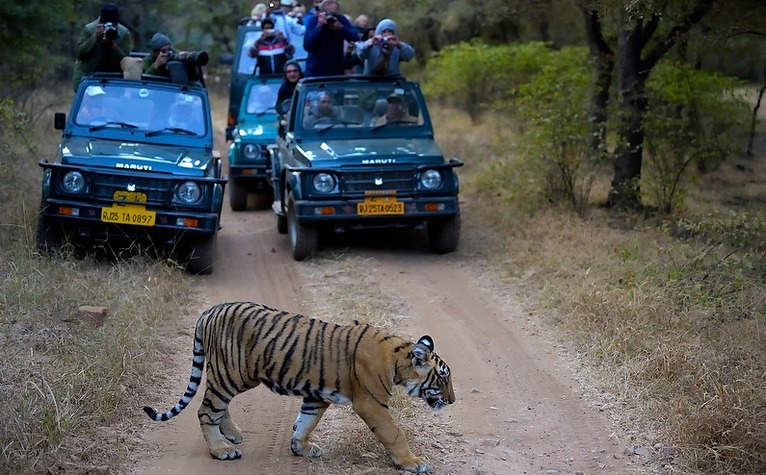 So, as you embark on a safari inside the Ranthambore Park, do watch out for these bold striped predators taking leisurely strolls on the roads, across the enchanting lakes or relaxing and basking in the winter sun, lounging under the shades of the 10th century old Ranthambore Fort and temple ruins. If you are here in the park right after the tiger-mating season, you might even get a chance to photograph a tigress taking a royal walk with her new-born cubs and in case, God bestows you with his divine blessings, you might even end up experiencing a lifetime adventure, watching the elusive beast silently stalking its prey, finally leaping over and killing it with all its might and strength – needless to say, it would be one of the most captivating and hair-raising scenes in the wild you would ever witness in your lives. Ranthambore is one of the only few national park in India where tigers have been given their own names and identities. That is not all! some of the resident tigers here have even gained international acclaim by impressing few of the world’s most noted wildlife photographers and journalists. These stars of Ranthambore are today, the major draw for tourists and wildlife enthusiasts who specially make a visit here just to see them in action. 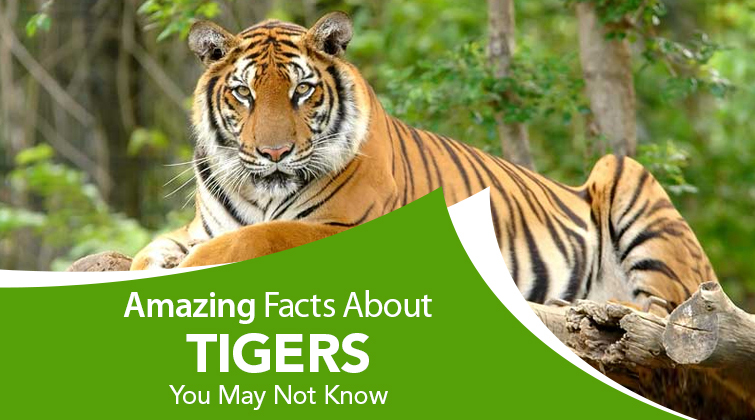 The most famous star attraction is undoubtedly, the beautiful tigress ‘Sundari’ or ‘T-17’. Daughter of ’Machchli’, the erstwhile queen tigress of Ranthambore who captivated the hearts of countless photography enthusiasts in the past with her majestic looks and amiable poses, Sundari too is a camera-friendly female tiger and amuses everyone with her ‘tigery’ poise and elegance. One can anytime spot her loitering around the lake and fort area in Zone 3 which were once the ruling territory of her mother. 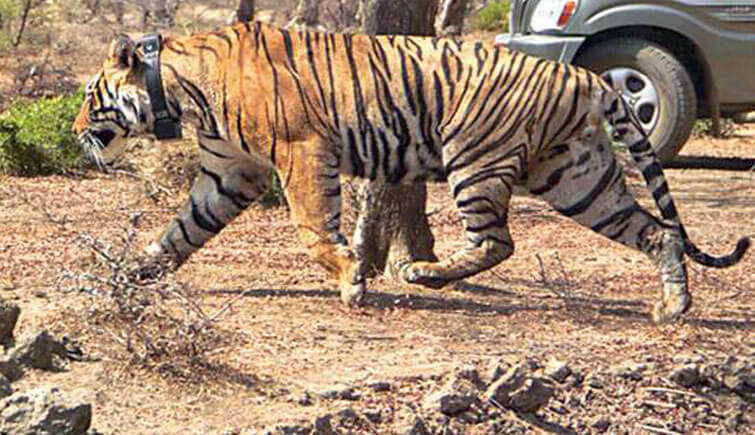 Yet another of the well-known tigress of Ranthambore is ‘Jhalra Female’ or ‘T-19’. Sister of Sundari, this tigress today, proudly owns the largest territory in Ranthambore and can be frequently sighted near Mandoop plateau and Nal Ghati-Kamaldhar area inside Zone 2 of the park. 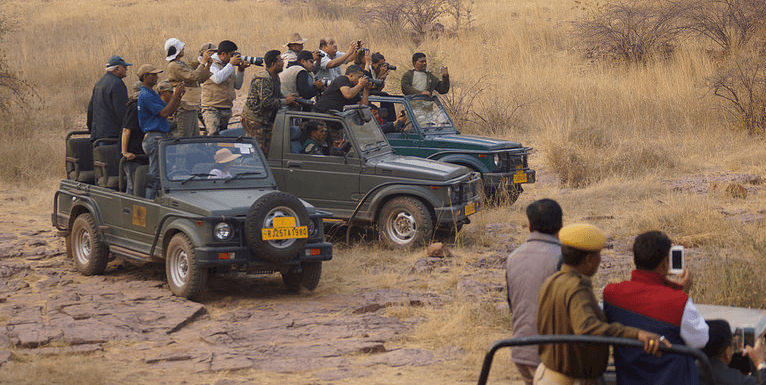 Compared to other wildlife reserves where you mostly get the opportunity to photo-shoot the animals while sitting on top of an elephant, at Ranthambore you are taken inside the jungle while seated in six-seater open air jeeps and canters; which means, you get ample opportunities to click pictures focussed at your eye-levels. Not to mention, such pictures come out far more striking and impressive. While photoing a tiger is definitely nothing less than a dream come true for any wildlife photographer, it is completely understandable that wildlife photography, both as a hobby and a profession is not only about picturing a tiger but, a way more than it. The Ranthambore National Park with its profound wealth of other diverse wildlife creatures provides with ample more reasons to avid wildlife photography enthusiasts have an amazing time amidst the lush surroundings; tilt your cameras little upwards towards the tree tops and you are sure to be left awe-struck with charming sights of colourful birds including Indian Tree Pies, Woodpeckers, Hornbills, Kingfishers, Cuckoos, Bulbuls and Parakeets. And in case you are more of an animal lover, turn your spotlight towards Macaques, Leopards, Sambar Deer, Wild Boars, Black Bucks, Sloth Bears, Nilgais, Indian Striped Hyenas, Chinkaras and Indian Flying Foxes; with great day lighting and perfect camera angles focused at eye levels, needless to say, you are bound to have an unprecedented experience photographing these wild creatures in their natural habitats at Ranthambore. For those who love watching reptiles, no worries! The park also houses a bunch of these creatures too, that include but are not limited to Marsh Crocodiles, Indian Pythons, Saw-Scaled Vipers, Shelled Turtles and Indian Chameleons. 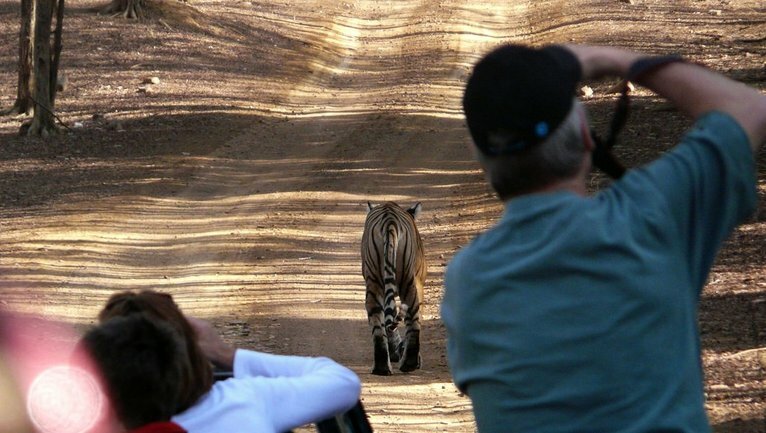 In a nutshell, at Ranthambore, while tigers definitely steal the limelight and are prime focus for your cameras, there are numerous other interesting subjects to shoot too that are sure to keep your cameras occupied during the entire length of safari. 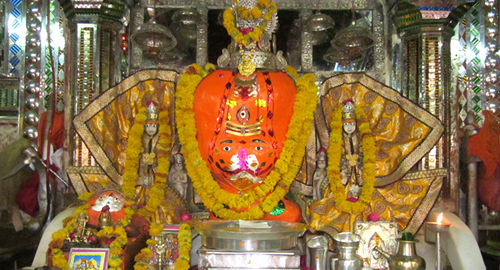 Besides the exotic wildlife, what further makes Ranthambore a paradise for wildlife and nature photographers is its out-worldly picturesque settings fringed with verdant greenery, perennial lakes & streams, multi-hued tones of vivid flora and scenic architectural ruins of old temples, pavilions, crumbling wells and fortresses; all these elements help bring life to your still pictures making them true living pieces of art. Just imagine clicking a mysterious predator swimming in the shimmering lake against the stunning backdrop of the ancient ruins of once a magnificent fort, capturing a rare Chinkara in your lenses under the shadow of the early morning sun while he is quenching his thirst from the lovely pool adorned with beautiful water-lilies or photo-shooting a flock of peacocks roosting in an age-old banyan tree with the collapsing walls of a primeval monumental gate looming over it ; needless to say, your pictures would be no less than winning masterpieces depicting the real jungle essence. While the reasons for Ranthambore being a great wildlife photography destination can go on and on, you yourself have to plan a visit there in person to experience its real magic. 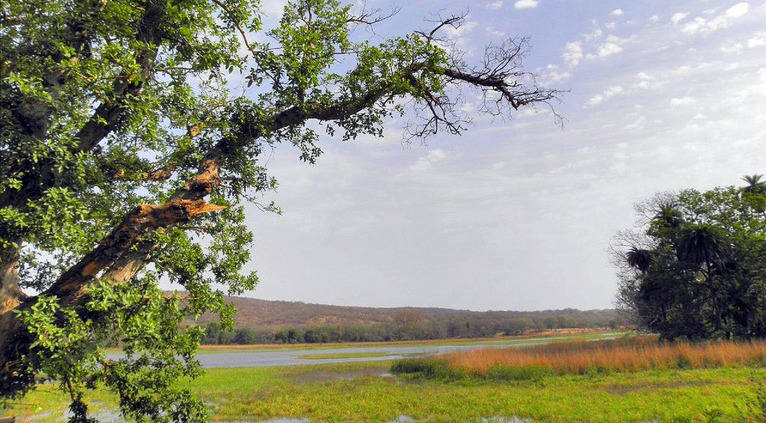 As a word of advice, if you plan for a photography trip to Ranthambore, make sure you plan it out during hot summer months (March – June) as this is the time when odds of seeing the park’s wildlife are at its maximum. 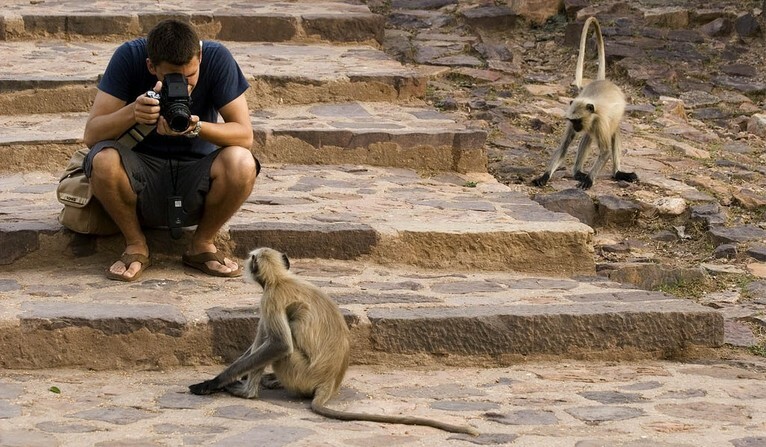 Not to exclusively mention, if you are heading out for a wildlife photography expedition in Ranthambore or for that matter any other wildlife reserve, aiming to get some serious pictures of wild creatures, there are few tips that will always prove to be handy for you: remember, a good camera is undoubtedly, your best friend during the excursion, so do carry your best camera and make sure it is compatible with telephoto/zoom lenses. The real essence of wildlife photography lies in clicking the right picture at the right moment for which your camera should be really capable enough to capture the movement of animals at a relatively faster speed; even a delay of a single second can spoil all the fun so, do ensure your camera supports elementary features like fast auto-focus, fast burst speed and high shutter speed. Weather-proofing and option to adjust correct lighting and angles would prove beneficial too. Last but not the least, do not forget to carry your photography ethics along. 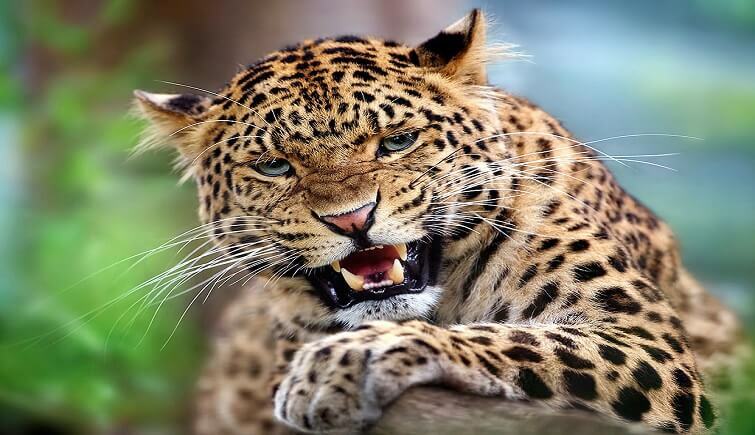 As you are entering the territory of wild, make sure you do not barge into the personal space of the jungle residents provoking them to react in unexpected and aggressive ways. Act responsibly while you are in the forest and respect nature and its creation.